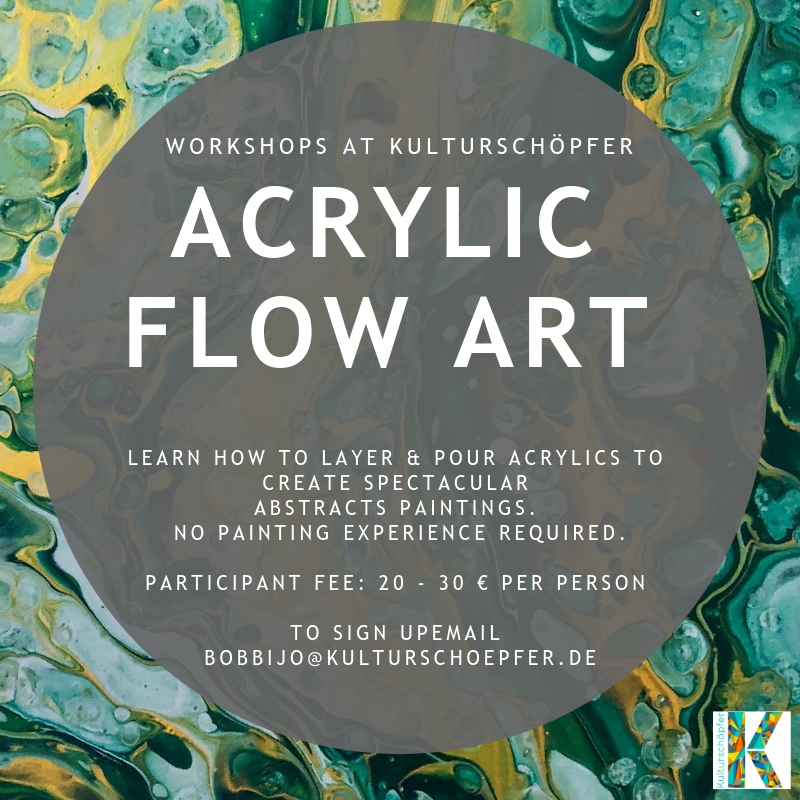 Learn how to layer and pour acrylics to create spectacular abstracts paintings. The paints have a mind of their own and most of the fun is watching what happens as various colors slide over each other, pulling and repelling as they make patterns. No painting experience required. Children welcome with parent. What should I wear/bring? Dress in comfortable clothing and shoes that you do not mind getting paint on.